Great stories often involve transformations. The Hulk, Spiderman, Smeagol. Michael Culling is still writing the first chapter of his cycling evolution, as NATHAN BURDON explains. About a year ago Michael Culling decided to make the switch from track endurance riding to the wild world of the sprinter. It's a move akin to Eric Rush's shift from the side of the All Black scrum out to the wing, or a bowler converting himself into an opening batsman. For Culling, who unlike most gym goers has always counted 'leg day' as his favourite, it was about making this most of his physical attributes. "I've always had the body type for [sprinting]. I've never been small enough to go up the hills, I was heavier in the lower body. I wasn't enjoying a lot of the time on the road and so I thought I'd try sprinting. I enjoyed the time in the gym and the track. It was tilting more towards sprinting but it took a while for me to decide that that was what I wanted to do." Culling made a commitment after last year's Oceania Championships, focusing on the national championships where he won titles in the 1000m time trial, the sprint and team sprint, with a silver in the keirin. It was those performances which convinced the selectors he was ready for next month's junior world track championships in Korea, where he will be part of a 14-strong New Zealand team, including Southlanders Laura Heywood and Nick Kergozou. BikeNZ junior coach Ross Machejefski has high expectations of Culling. "He had a fantastic nationals. He's had some health troubles in recent weeks but he's bouncing back from that. He's a pretty reserved fella, you don't get a lot out of Mike, but he just goes about his business. He'll come up with a couple of big performances." Culling had a good team around him, including his Invercargill-based coach Sier Vermunt, Machejefski said. 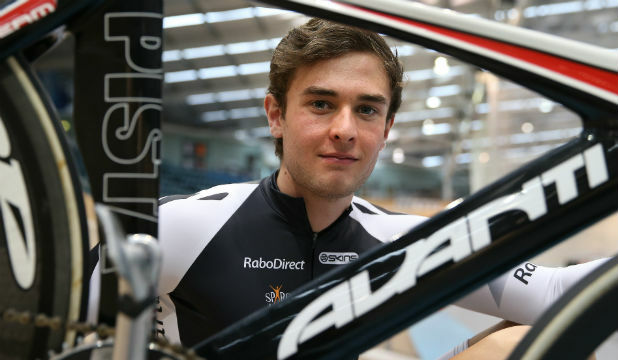 New Zealand has a prodigious starter in the junior team sprint in Taupo's Lewis Eccles. It will be Culling's job to catch and hold his wheel, and if he can do that New Zealand could be looking at another team sprint medal in Korea. Life has been a lot different for Culling since he opted to take a gap year after finishing Southland Boys' High School. The structure high school provides is no longer there, but with the help of his Academy Southland training with Jason McKenzie, Culling has been learning about the challenges and benefits of fulltime training. "That's a big focus through the academy. [McKenzie's] getting us into that professionalism of the sport and doing things for yourself. No one is going to hold me accountable if I'm late for training, so I have to do that myself. You have to plan your days and structure things so that you are getting full benefit out of your day," Culling said. It's something the young BikeNZ team will get to experience during a nearly three-week long camp at Cambridge before heading to the August 8 to 12 world championships. The team will be given a taste of what the elite riders go through, looking after themselves in a team environment. "It's quite a professional buildup for the event," Culling said. "I think BikeNZ's doing a really good job of giving us an eye into what the professional life is all about when you are in a camp with 13 other riders, rather than just you and your parents at a motel. It's building into what we will be doing in the future. "I'm a big fan of that. It gives you some freedom to do your own thing. It's a bit of learning - the more you can do that, the better you can function in the team and be a bit stronger ... because there's only so long you can stay at home with your parents." Culling has broken up training time with some part-time work for Cycling Southland, coaching the sort of high school pupil he was, not that long ago. The life of a bike rider is feeling sweet at the moment. "It's pretty fantastic when you think about riding a bike for a living. It's something different from sitting in an office - especially seeing some of the guys like Eddie [Dawkins] and Matt [Archibald] travelling the world. It's just amazing, the opportunities. To be able to represent your country is pretty special." Culling recognises the junior world championships will be a massive step-up from any event he has ridden before. But having seen the likes of Tom Beadle and Jeremy Presbury progress from there into the elite ranks with Dawkins and Archibald, there's an excitement about the pathway that has revealed itself. "We've had Eddie and Matt down in Southland, and they have been really good, but to see the likes of Jeremy and Tom make that transition from guys that you have been racing down at the club, to national level and then to get to the top of the sport and be carded, it definitely gives you a path of where you want to be next year, two years, or five and 10 years ahead."